I have always loved an adventure, climbing trees, making dens, discovering bugs and locating geocaches. I even loved doing these things as a child too. My mum used to say she could never dress me in white as I’d find something to do and end up coming back dressed in a dusty grey. I’m really pleased that our little man seems to have adventurers blood too, which we are encouraging as much as we can. We are both strong believers in allowing children to be children, get dirty, explore and learn through experience. 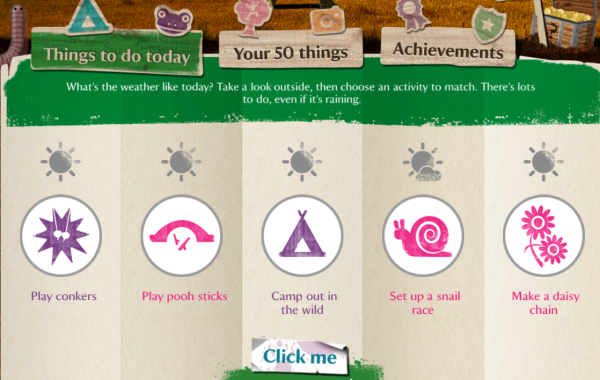 I was really interested to learn that the National Trust is encouraging this way of living for children as well. 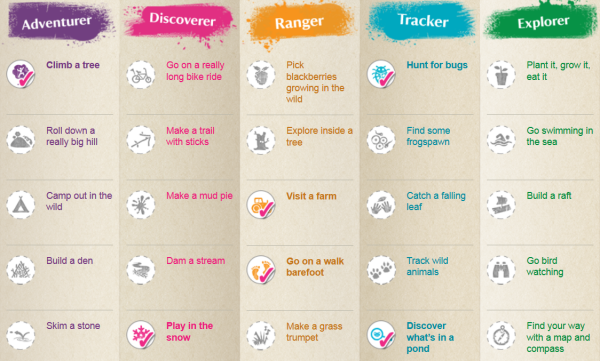 50 Things before you’re 11 and 3 quarters is a site that offers suggestions for activities to encourage your children to explore the great outdoors. Most activities can be completed in the evening after school/work(parents) or during the weekend. I love the way it suggests a random selection of activities at first, or you can explore the full list of activities to find something more specific to suit your spare time. 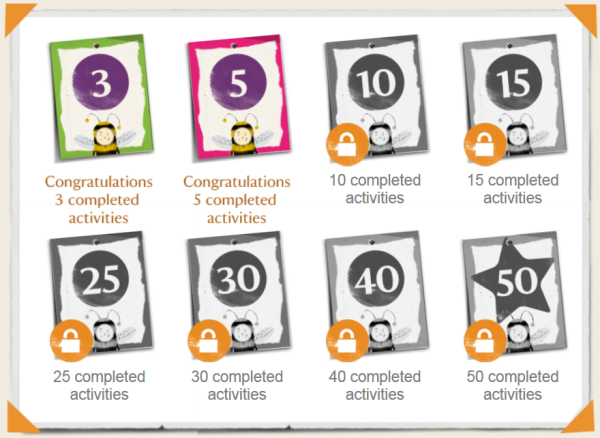 Once the activity is checked off (you open a free account online), your child receives certificates you can print off, special additional secret tasks and more. Although M is only One, I am enjoying this side of things. It’s great that he has already checked off 8 activities in the first 13 months of his life. We will surely complete all 50 over the next 10 years. On Clara’s birthday we decided to check off Climb a tree, I am sure this is an activity he will keep checking off as he grows, but I just couldn’t resist. 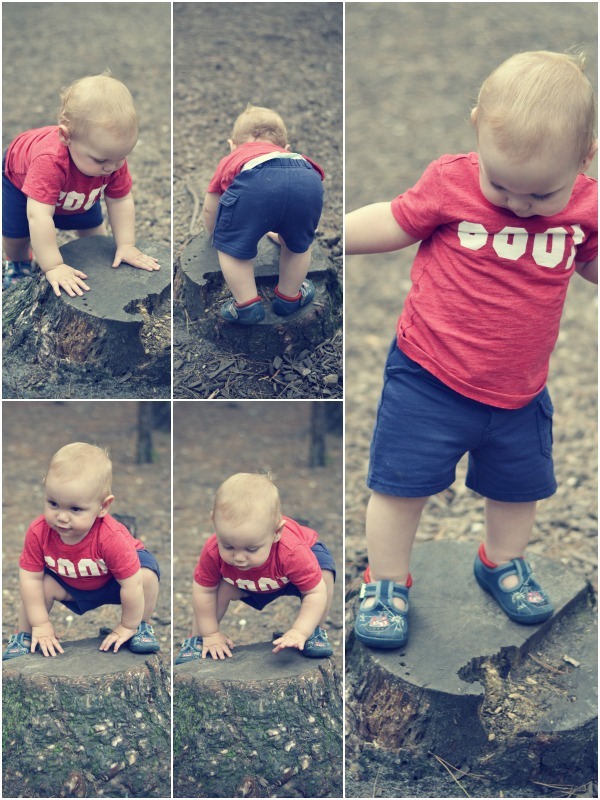 It may seem like cheating, but he is only mini, so he got to climb a mini tree. How many of the 50 things has your little one ticked off? Just the beginnings, just you wait and see! 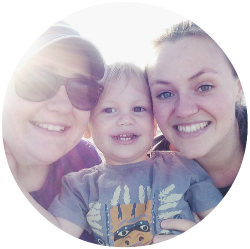 Love that you have started the 50 things list, any of them can be repeated at a harder level over time and it is a perfect link with #CountryKids.